What a busy weekend! 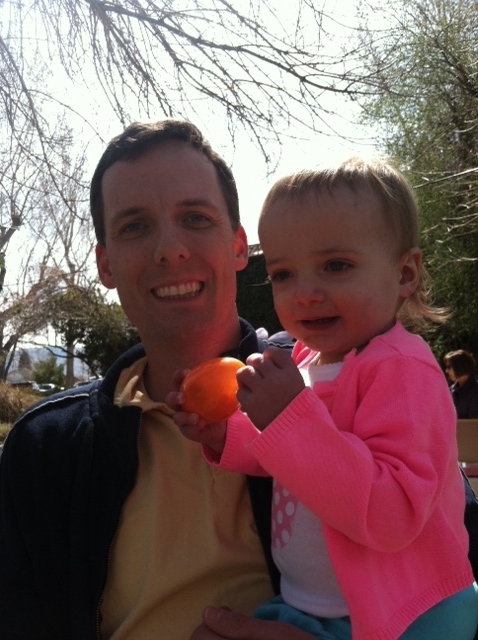 We were so blessed this Easter to get the chance to spend lots of time with friends and family. 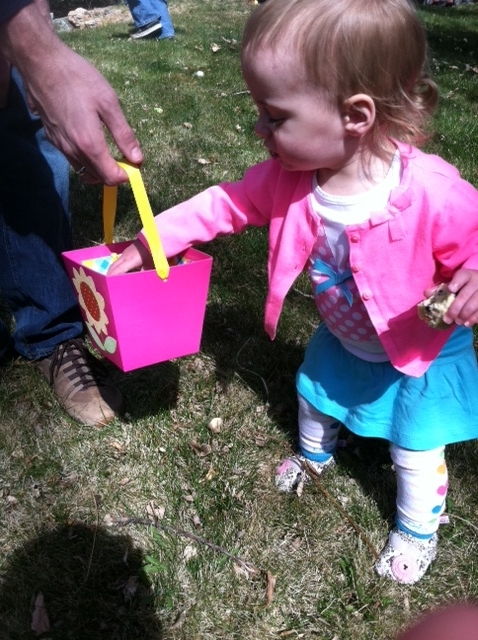 On Saturday, our dear friends Seema & Tim hosted a brunch and egg hunt for the kids. They live on a huge, grassy lot with a creek running along the back of the property. It was the perfect place for kids of varying ages to hunt for eggs. Addie found all of hers in the middle of the grass, not so much “hidden”, but it was just perfect and she had such a fun time eating and playing all morning. 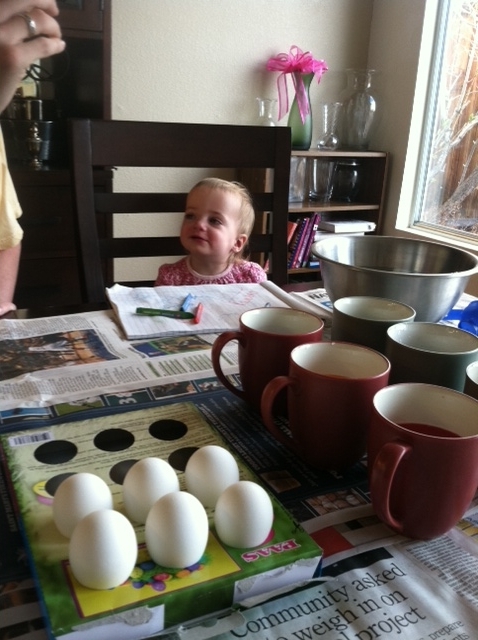 After a good, long nap, Auntie Alyssa came over to color eggs with us. This was actually Addie’s second time coloring eggs this year, as she got to color eggs with her daycare friends at Linda’s. She drove all the way home with her favorite egg in hand Thursday and didn’t put it down until dinner time that night! 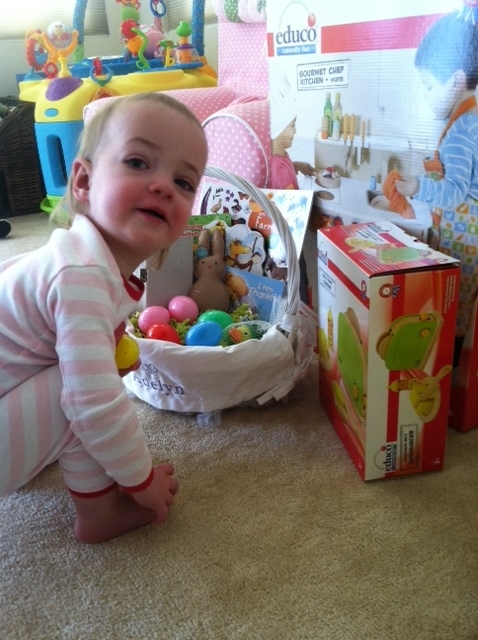 It didn’t take Addie long to dig into her basket Easter morning. We tried to wait for Auntie Alyssa to come over, but college sophomores don’t wake up before 10 am and Addie is impatient (like her mommy). The Easter Bunny was especially generous this year giving her a play kitchen. Really, we were just too lazy to put it together last weekend when we bought it, so why not just include it in her Easter basket? We had a lovely dinner with Aunt Trisha, Ed, Papa, Auntie Alyssa, Gram & Gramps (links below to the things I made which were all worthy of a repeat!). Addie wasn’t feeling so hot all weekend, a bit of a cold and cough, so it took her a while to warm up to a full house, but she eventually got comfortable and charmed the room as usual. 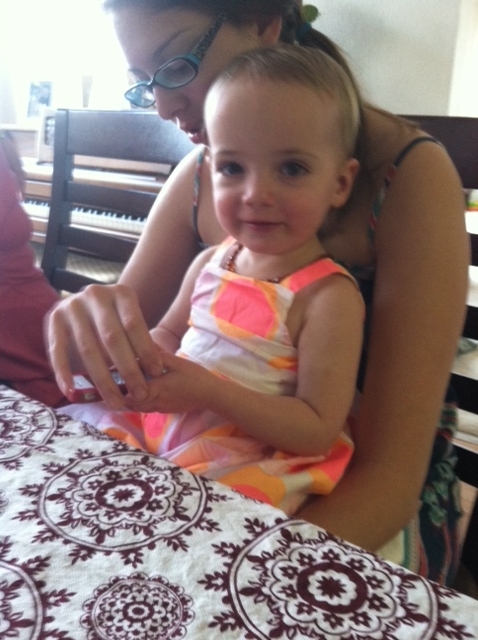 She had on a super cute Easter dress, but this is the best picture I could get (the other option is with an angry face and it looks like she’s about to throw a book at me!). After the weekend’s festivities, it was pretty late and she was beat, so we headed upstairs for a bath and her usual bedtime routine. I imagine normal children want to read a book or snuggle, but Addie’s routine for the past week has been to roll the floor with a giant lint roller. She loves it! 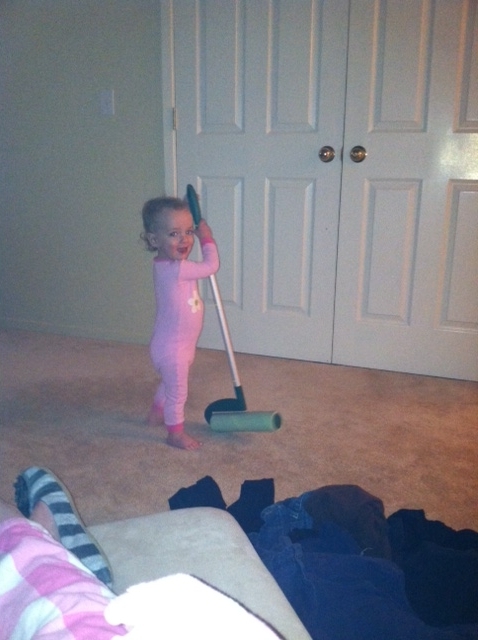 We alternate between this and “wrestling” with Daddy until she’s tires herself out. Never a dull moment in our house! She’s such a funny girl! !